If you’re like us, you’ve been pinning and saving Super Bowl recipes for making things like Buffalo chicken mac & cheese pizza rollups for weeks now. If you’re like us even more so, you’re going to wake up on Super Bowl Sunday, realize you have exactly zero of the ingredients required for such a feat, and come to the quick conclusion that there’s no way you’re going to face the crowds at H-E-B to get said ingredients because you wasted all your efforts trying to get into that Taylor Swift show at Club Nomadic. Don’t be like us -- think ahead, and let these local eateries put in 100% of the hard work for you and throw the greatest Houston Super Bowl party without much, if any, hassle. If you’re hosting a Super Bowl party in Texas, you‘re expected to serve barbecue, but no one said you have to make it. That’s where Killen’s catering option comes in. 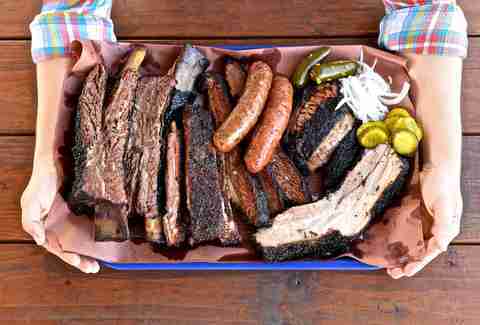 Get the Texas Trinity of brisket, beef rib, and house sausage by the pound, load up on quarts, half-pans, and full-pans of creamed corn, mac & cheese, collards, and baked beans, then finish it with a sheet pan of bread pudding. The Tex-Mex haunt will be offering 4lb fajitas for both dine-in and to-go orders through Sunday. 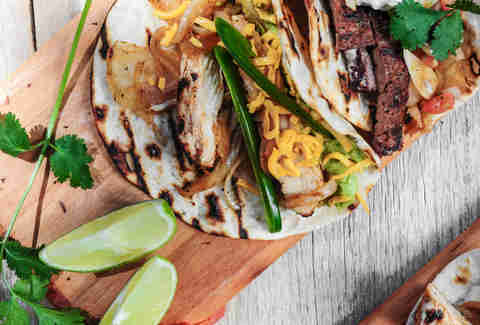 Get chicken, beef, or mixed -- including rice, beans, and tortillas -- for $145. Chicken or beef “Party Taco Packs" are also available and come with 15 tacos wrapped in foil for $45. Max’s jalapeño-buttermilk marinated fried chicken wings are just a tiny bit famous in this town, and while the dive usually doesn’t do wing orders outside of happy hour, it is through Super Bowl Sunday. 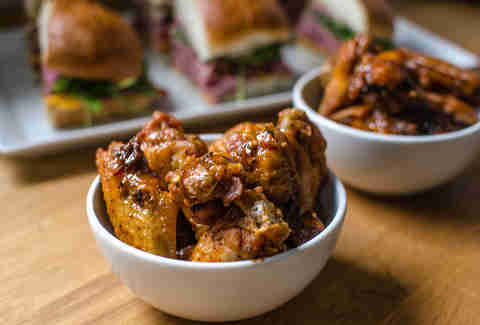 Both locations are offering eight-packs of wings for $10, dine-in or to-go (you’ll usually pay $4 per wing if tacking them onto a meal, so consider this a huge score). Everyone’s favorite mac & cheese-coated pizza joint is offering late-night delivery until 2am on Friday and Saturdays. That includes delivery to hotels and the crew will also go a bit outside its regular delivery zone if the order is over $150. It will also be delivering on Super Bowl Sunday until 10pm. 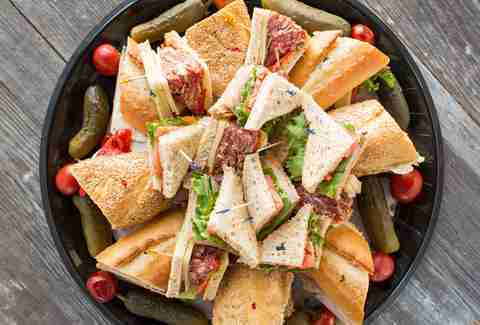 On top of that, its parent company, Cherry Pie Hospitality, is offering Big Game Party Packages featuring goodies like Frito Pie kits and build-your-own sandwich platters. Did y’all know Houston’s favorite purveyor of all things boozy delivers via Instacart? Now you do! One caveat that’s pretty important: All Spec’s locations (and all liquor stores in Texas, for that matter) are closed on Sunday, so you have to get it delivered the day before. Luckily, beer and wine can still be found nearly everywhere, including but not limited to grocery stores, convenience stores, and your nearest gas station. 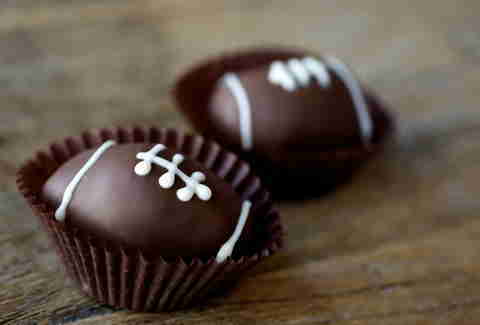 Every Super Bowl party needs a bit of sweetness, and a bowl of Skittles won’t cut it. 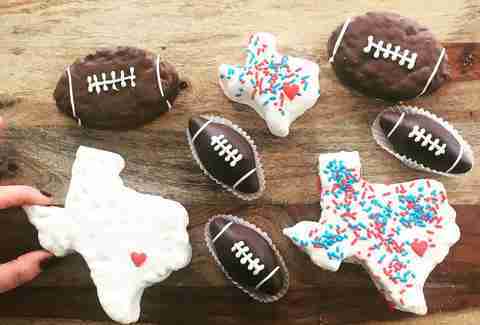 This itty-bitty dessert shop has football-shaped cake balls, cake pops, and chocolate-dipped Rice Krispies treats, plus Texas-shaped Rice Krispies snacks and team-colored, football-themed goodies. Agricole’s got you completely covered with all of their Game Day options. Get barbecue and hot wings, 3ft hoagies, slider platters, whole barbecued chicken, whole-pig pulled pork, chicken and sausage jambalaya, gumbo, and sides like mac & cheese and shrimp cocktail. 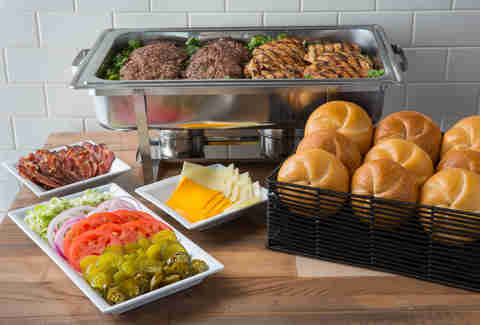 B&B’s Super Bowl To Go Menu features sandwich platters packed with things like Italian heroes, roast beef subs, ham and swiss subs, and more for $9-13 per person, plus charcuterie and cheese boards, ready-to-roast tenderloin and prime rib, 10oz B&B burger patties, and TX wagyu hot dogs. 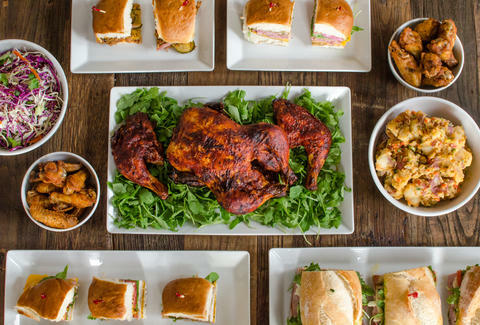 Sylvia’s has two party packages for your crew to demolish. The “Super“ Game Day Party Pack ($160 for 10 or $240 for 15, plus tax) packs in chile con queso, chips, a combo platter of fajitas with all the fixin's. and cheese enchiladas doused with chili gravy. The “Super Super” Game Day Party Pack boasts picamole, grilled quail and shrimp, beef fajita steaks, poblano grits, and chorizo mashed potatoes ($28 per person, plus tax, with a five-person minimum). This Tex-Mex favorite has 75 years of practice putting together epic fiestas, so you may as well let them do the grunt work for you. 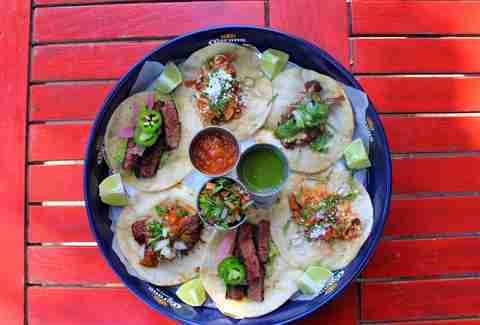 Get stuff like fajita packs, crispy taquitos, Nancy Ames Nachos, Jose’s Dip, tres leches, and, perhaps most importantly, margaritas. All it takes is a peek at the full catering menu, your credit card, and enough room for everyone. Making sliders can be a hassle. Eating them is most certainly not, which is why ordering Bernie’s Burger Bus’ Super Bowl Sliders is a great move. 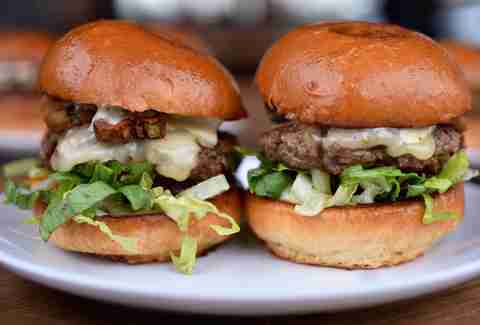 The 3oz hand-ground sliders come on on Slow Dough buns, starting $4 each for orders of 50 or less, and $3.50 when you go for 100 or more. Also, every order over 50 comes with a pan of house-made, thick-cut potato chips at no extra cost. Win the party day by hitting the South African gastropub for to-go snack bags filled with Texas-sized pork rinds or chili popcorn. And if you really want to have the best Super Bowl Sunday, start it out with their Kegs & Eggs Brunch. Build-your-own Jerry Built burger with the Burger Bar Package ($9 per person). Choose from all-natural Angus beef, grilled chicken, or portobello mushroom caps alongside a lineup of crisp veggies, condiments (including their signature Ernie’s sauce), wheat or white buns, and premium add-ons like bacon and guacamole. Salads, wraps, sides, and sweets are also available. Hit the sweet spot with football-themed, buttery-as-hell shortbread cookies and two-biters like the pigskin-shaped chocolate truffles. 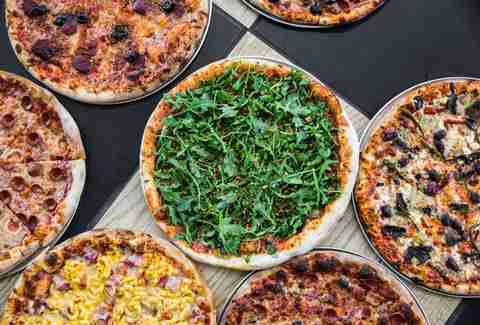 Russo’s New York Pizzeria and Russo’s Coal-Fired Italian Kitchen locations are offering a Super Bowl Game Day Lineup Party Package, featuring a giant, 28in party pizza with two toppings and 20 buffalo wings for $59.95. Rumor has it the pie alone feeds eight to 10, but you might as well give it a shot even if you have a smaller group. Leave it all on the field, as the pros say. 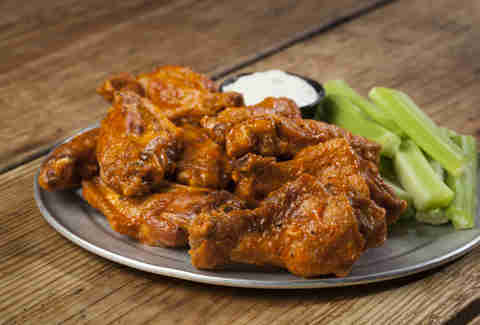 Pluckers Wing Bar is now taking orders for the Big Game. There are the usual buffalo suspects, plus flavors like Dr. Pepper, mango and habanero, ginger peach Sriracha, spicy Mandarin, and Gochujang, the Korean red chili condiment. 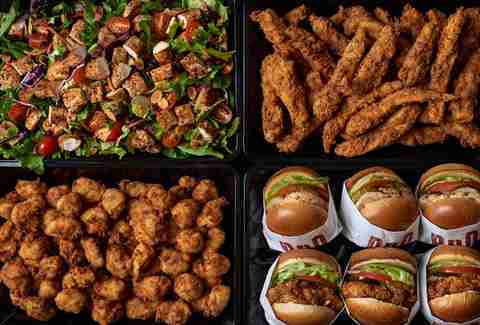 What’s better than 25 or 50 fresh hand-breaded chicken tenders with over 12 homemade dipping sauces to choose from? That’s easy: the same packs, but on a buy one, get one basis. The BOGO special is available at all Houston-area locations on Super Bowl Sunday. K&Z’s deli sandwiches are pretty well known for being the best and the biggest in town, mostly because they are around 10 times larger than any human mouth. Order platters of the house-made corned beef, pastrami, turkey, and more to build your own sandwiches or say “screw it” and get them in the form of jaw-breaking 3ft heroes. The full catering menu packs on goodies like mini knishes, pigs in a blanket, and fried kreplach. 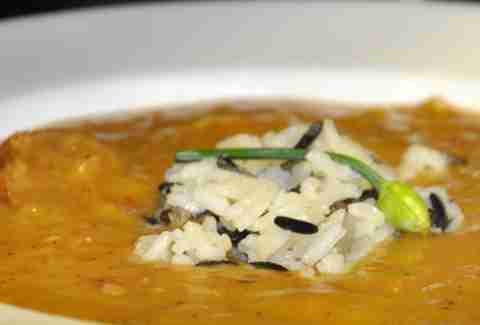 Seriously up your spread with Rainbow Lodge’s house-favorite Smoked Duck Gumbo or Buffalo and Black Bean Chili for $16 per quart. Brooke Viggiano is a Houston-based writer who likes watching 30-second cooking videos but is honest with herself enough to know she’ll never try one. See her other truths @BrookeViggiano.